Total Diamond Equivalent Weight (DEW) 1.65 carats. 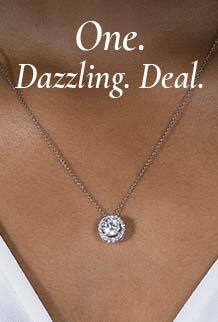 Demure and dream-like.Perfect for sparkling in the moonlight. This sophisticated round Forever One solitaire is accented by a host of gems lining the 14K gold band. A classic love story.